Fire, floods, debris and other catastrophes can really take a toll on your home or business. Aside from the effects on the structure, the damages will probably wreak havoc on your valuable contents inside. This can be a major setback for many, especially business owners and their employees. Believe it or not, many of the items damaged beyond repair are actually salvageable! Through advanced cleaning and techniques, our content restoration specialists can restore equipment, art, documents, electronic files and more. We understand how important your valuables are to you, so it is our mission to thoroughly examine the cause of damage and find the proper solution. 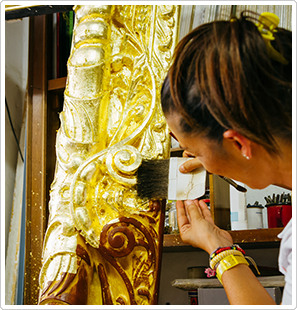 Our experts will determine if your items can be fully restored to their original state. We use state of the art technology to clean and sanitize the items to remove any chemicals or odor. A list of content restoration services is provided, including pack out, moving and storage, for your convenience. You can trust that we will handle your contents with care as we restore them back to normal!